A lovely tarn on the west coast, the water completely still. 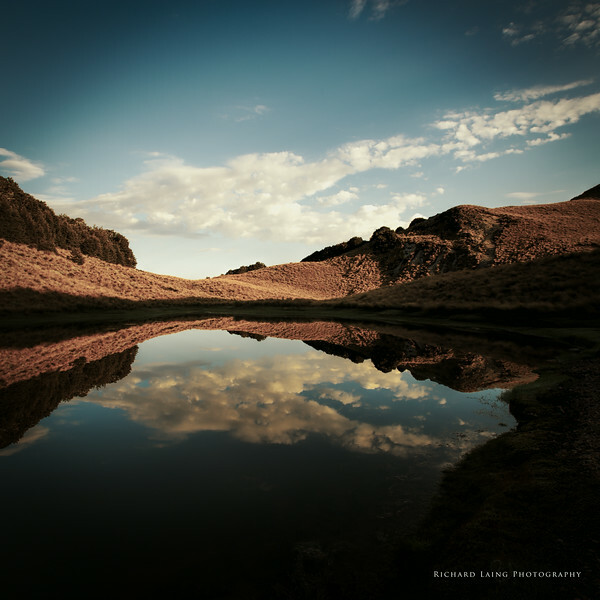 This is another old image, processed a little differently as well. 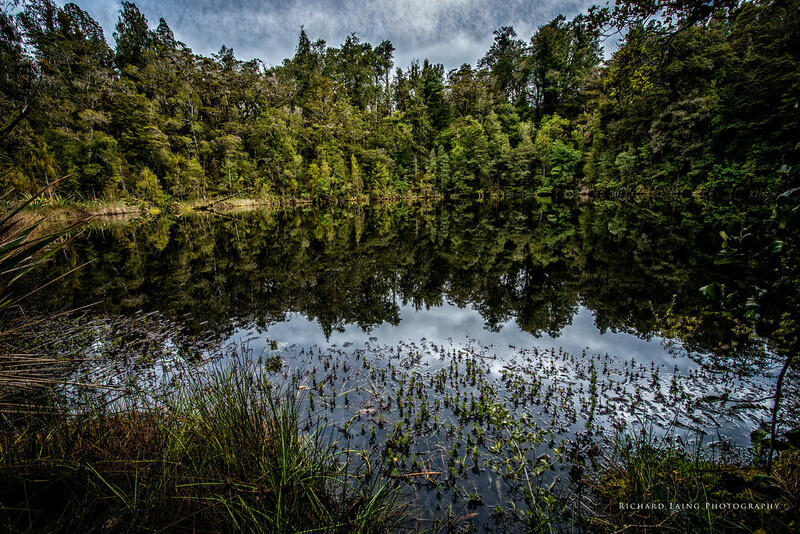 I walked up Woolshed Hill and camped out on a stunningly warm and still summer’s evening beside this little tarn. Despite being fairly tired, and it getting dark I stopped at Woolshed Creek to take a few shots, trying to find small bits os the river rather than a wide angle shot for a change. 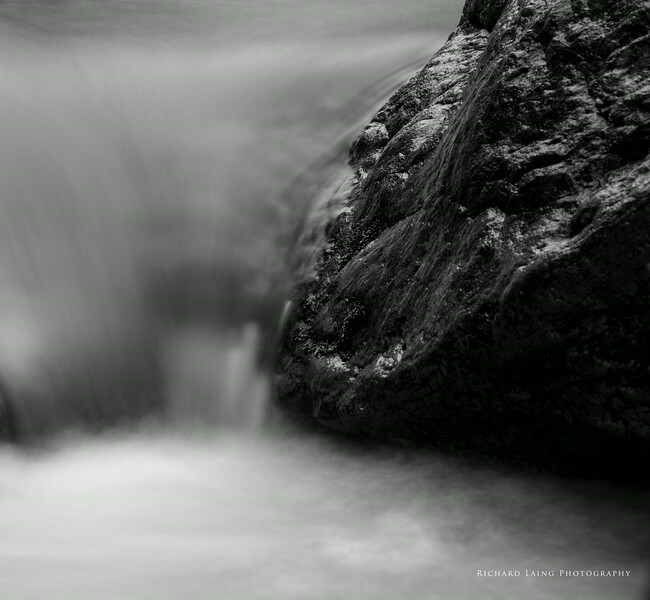 I used by 80-200mm lens trying to isolate interesting rocks and rapids. 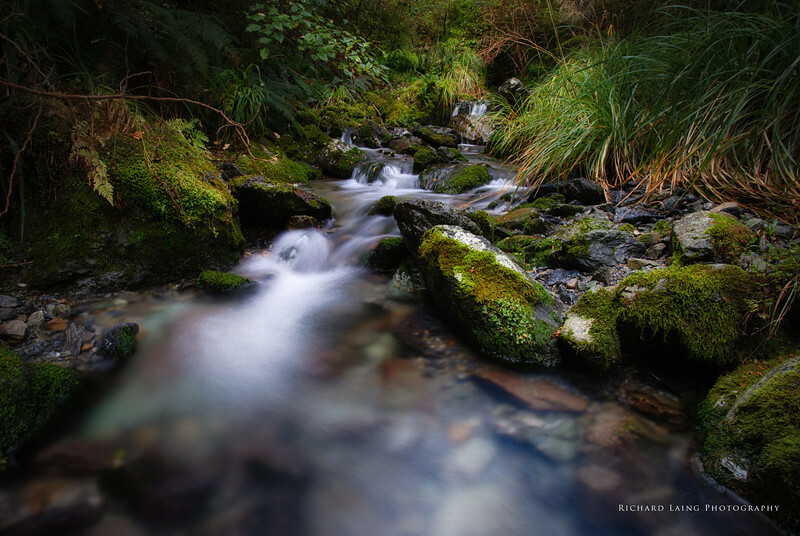 Having gone abstract yesterday something a bit more literal today, a stream running through the forest at Mt Thomas. 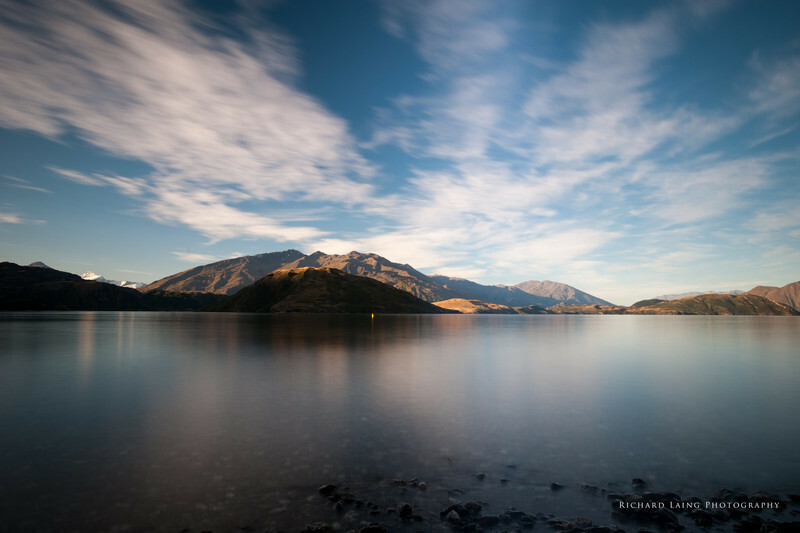 A couple of random shots to finish my Wanaka trip off. Lake Pukaki with Mt Cook. After the clouds on the day we arrived in Wanaka the next day dawned with lovely sunshine and blue skies – I didn’t quite make the sunrise unfortunately but a lovely morning none the less. 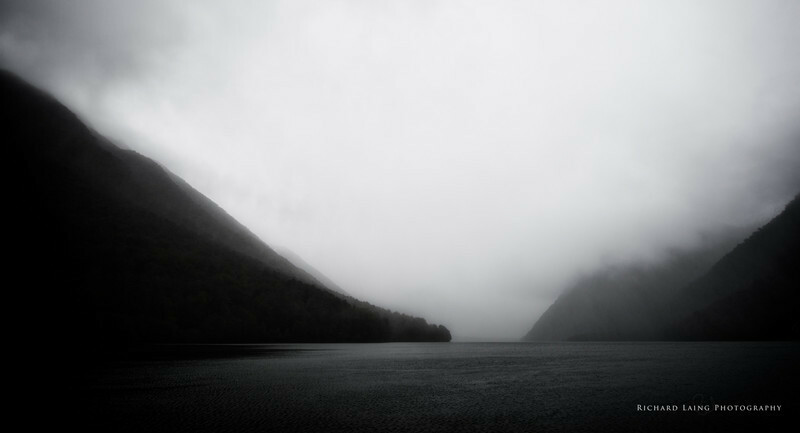 Heavy rain on the road from Te Anau to Milford made photography hard, definitely moody!